Become one with nature whether it's your college campus, backyard, etc. 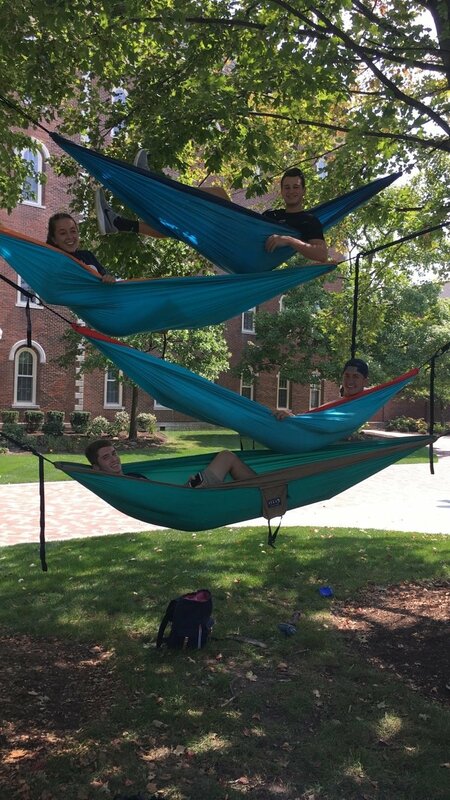 The first month of my freshman year of college I learned about Eno hammocks and honestly I haven't regret my decision dropping a few bucks on these things. There is a really cool vibe that comes along with these sacks that can be hung from trees. In the last two years of owning this hammock I have spent more time outside than ever in my teenage years and just feeling great with the fun and relaxation that comes with these Eno's. You can hang alone, you can hang with friends, the opportunities are literally endless. But this certain activity has so much power to instantly make your day better. All you have to do is find two trees and set up shop, ready to lounge and relax. You can stack as many as you want (safely). It's a really fun process to climb up a hammock ladder. Views, always do it for the views (Yay for nature). They can hold multiple of your favorite people (dogs included). You can bring them anywhere and everywhere. 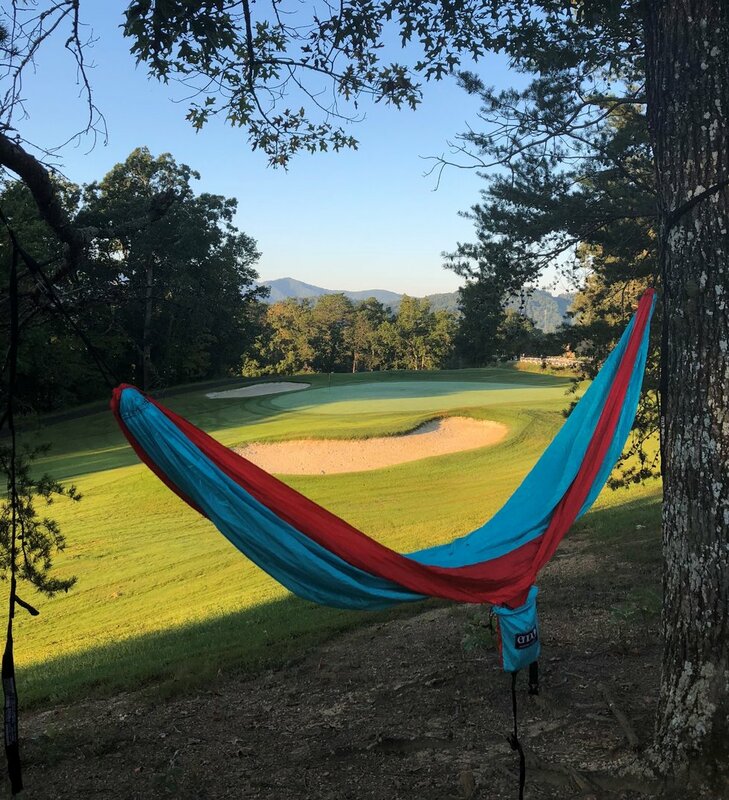 You can even bring it to a golf course with a view of the Smoky Mountains if you really want to. 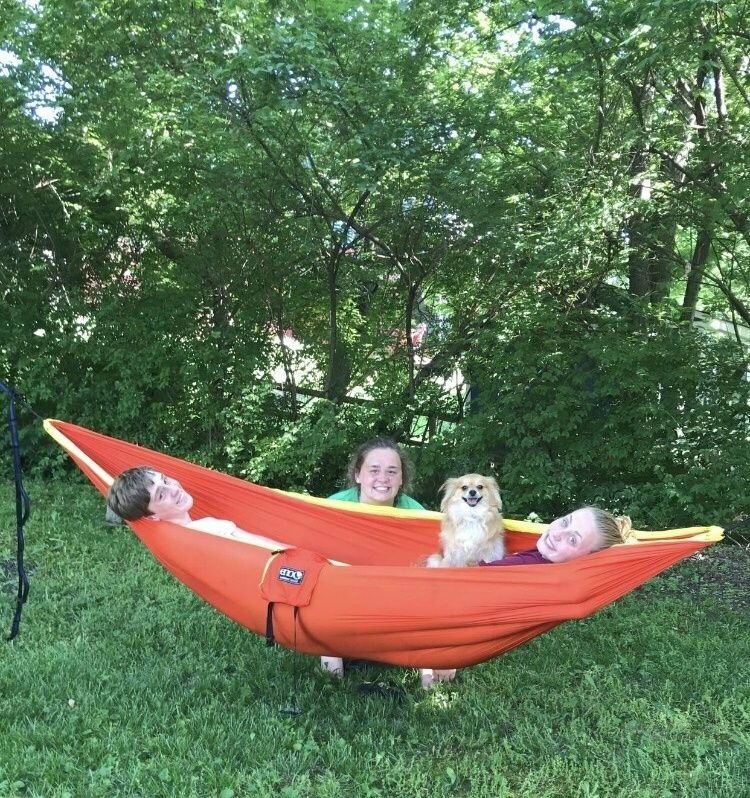 Overall hammocks just radiate great vibes and feelings that are easy to get when you are hanging from trees with your buddies. Eno'ing inevitability makes you a happier person. 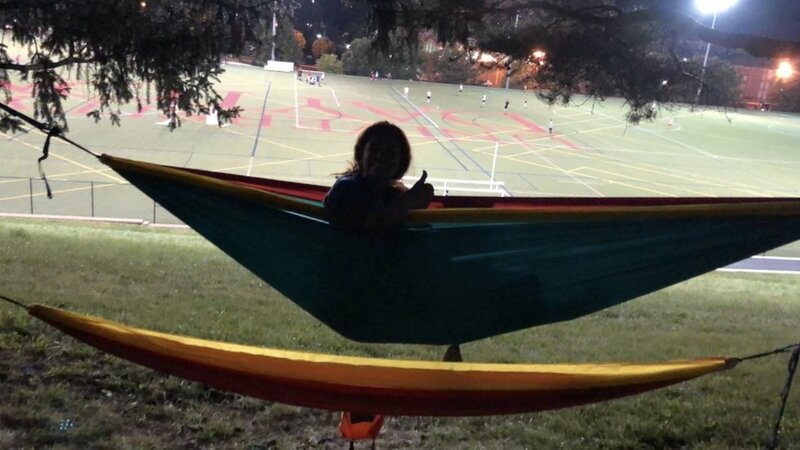 With spring coming up (hopefully Ohio gets its act together and brings me some warm weather), I strongly encourage you to go out and buy and Eno hammock, or something like it. 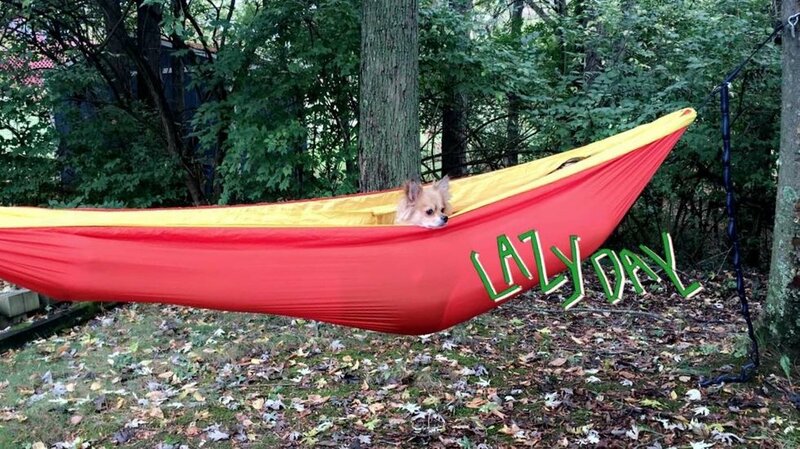 It truly is a nice taste of summer when you can just lounge and relax in this hammock. You can listen to music, you can do homework, you can even nap; surprisingly you can do so many things in this random of an item. Seriously, do yourself a favor grab a hammock, grab some friends, grab a snack and find some trees, you won't regret it! 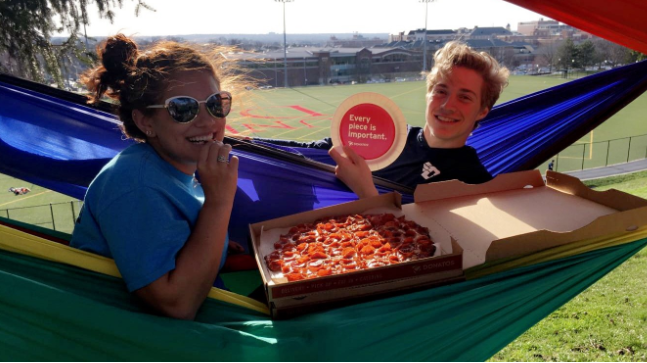 It's almost impossible to be in a bad mood when you're Eno'ing.